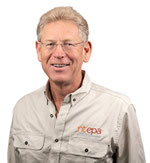 Dr Paul Vogel was appointed as the chairperson of the NT EPA on 14 November 2016. Now a non-executive board director and strategic consultant, Dr Vogel was Chairman of Western Australia’s Environmental Protection Authority from 2007 – 2015. Dr Vogel was also the inaugural Chief Executive and Chairman of the South Australian EPA from 2002 – 2007 and prior to that held senior executive positions in the WA Departments of the Premier and Cabinet and Environmental Protection. Dr Vogel has a PhD in chemistry from the University of WA and has extensive knowledge and experience across a broad range of environmental issues and sustainability, in organisational and regulatory reform and in the delivery of strategic environmental and business outcomes. Dr Vogel is also chairman of a national Cooperative Research Centre on Contamination and Remediation of the Environment (CRC CARE); a director of the Australian Technology Network of Universities (ATN) Australian Research Impact Advisory Board, a director of Global Aquatica (Australia) and a member of the Australian Institute of Company Directors. He was appointed to the NT EPA from 1 January 2016. Ms Janice van Reyk is an experienced non-executive director on a number of boards in the infrastructure and utilities sector, including Australian Naval Infrastructure, Victorian Ports, Lochard Energy and Citywide. She previously served on the boards of Melbourne Water and Port of Melbourne Corporation, and the audit, risk and finance committee of Sustainability Victoria and the three-person Ministerial Advisory Committee to inquire into the future strategic role of the Environment Protection Authority Victoria. Ms van Reyk’s environmental experience includes advising on a range of socio-economic assessments, stakeholder consultations, and environmental and remediation issues. Together with her executive management experience in industry, she brings great depth to the NT EPA. 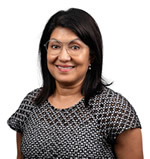 Ms van Reyk is a Fellow of the Australian Institute of Company Directors. She has a Master of Environment, specialising in water, energy and urban issues; a Master of Commerce, specialising in corporate finance, economics and accounting; a Bachelor of Arts; and a Bachelor of Laws. Dr Ian Wallis brings 30 years of experience as an environmental engineer providing advice to water and sewerage authorities and industries. He was a registered environmental auditor for 17 years, providing advice in the form of environmental studies, audits, investigations and inputs into environmental impact assessments. Dr Wallis conducted postgraduate research at Monash University in sediment transport, the dispersion of wastes in estuarine and ocean waters, and the social and technical issues involved in managing pollution. He has been a researcher at various universities and laboratories in the United Kingdom and United States of America. Dr Wallis has extensive experience in environmental assessments, air quality, water quality and oceanographic studies, and he is recognised as one of Australia's experts in these fields. He was a member of the expert panels on desalination and on dredging in Darwin Harbour. Mr Woodward brings more than 30 years of experience managing and advising on environmental regulation and approvals, having worked in a variety of roles in the New South Wales Environment Protection Authority and its predecessor, the State Pollution Control Commission. He was a Deputy Director General of the NSW Department of Environment and Conservation with responsibility for environment protection regulation. Mr Woodward has extensive experience in environmental assessment and approvals and protection of air, water, noise, waste, chemicals and radiation, as well as biodiversity, threatened species and Aboriginal cultural heritage protection. He has served as a Commissioner for the NSW Independent Planning Commission, which is responsible for statutory assessments and determinations of state significant development proposals such as coal, gold and rare earths mining, coal seam gas, quarries, and major industrial and urban developments. He has also provided consultancy advice to Commonwealth and NSW environment and planning departments. Mr Woodward holds a Master of Engineering and Bachelor of Science. In 2009, he was awarded the Public Service Medal for Outstanding Contribution to the Environment in New South Wales. Ms Nunan is experienced in providing environmental regulatory and policy advice to industry and governments across multiple jurisdictions, including in the Northern Territory. Working in industry for many years, Ms Nunan has significant experience in participating in regulatory reviews and reform processes, predominantly as an industry participant, but also during her time in government. During her time as a practising lawyer, Ms Nunan provided advice to businesses and statutory bodies relating to compliance frameworks and responses to environmental regulatory investigations. Ms Nunan has had extensive exposure to environmental assessment processes, securing project approvals and the application of regulatory policies and legislation across a range of different industries, including resources, renewables, waste, agriculture and planning. With this experience, Ms Nunan brings good understanding of the existence of and the importance of overlapping interests in land and resources by various stakeholders including Traditional Owners, Government, Industry and broader communities. 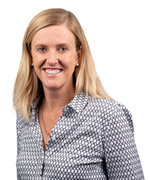 Ms Nunan currently works for Energy Australia as Industry Regulation Lead and has previously worked for leading law firms and at the Department of Environment, Water and Natural Resources in South Australia. Dr Vaughan Beck, AM is a Fellow of the Australian Academy of Technological Sciences and Engineering and the Institution of Engineers, Australia. He was a Member of the NT Scientific Inquiry into Hydraulic Fracturing in the Northern Territory, 2016-2018. Dr Beck was recently Senior Advisor, Technical to the Australian Academy of Technological Sciences and Engineering (ATSE) and Executive Director – Technical, responsible for the Academy’s research projects and the development of policy advice to government in energy, water, infrastructure, innovation, technology, technology and health, education and climate change. During his appointments with ATSE, Dr Beck was: Chair, International Council of Academies of Engineering and Technological Sciences, Low Carbon Energy Group; Deputy Chair, Australian Council of Learned Academies project report on Shale Gas; and Deputy Chair, ATSE Unconventional Gas Conference and International Workshop. Dr Beck has qualifications in mechanical engineering, structural engineering and fire safety and risk engineering. He was Visiting Professorial Fellow, Warren Centre of Advanced Engineering, University of Sydney and led the Fire Safety Systems project. He was appointed Professor and Director, Centre for Environmental Safety and Risk Engineering at Victoria University and subsequently Pro-Vice Chancellor (Research) at the University. 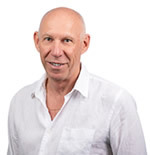 Dr Rod Lukatelich has a Bachelor of Science (Hons) and a PhD from the University of Western Australia. Rod has 28 years oil and gas industry experience and now semi-retired, works as an environmental consultant. He has extensive experience in environmental approvals and impact assessment, wastewater treatment, atmospheric emissions management and assessment and remediation of contaminated sites. Previously Rod held an academic position at the University of WA where his research included studies on the impacts of eutrophication on algae and seagrasses in lakes and estuaries; development of ecological models; and the relationships between hydrodynamics and water quality in reservoirs, rivers and estuaries. Rod has been a Board Director of the Cooperative Research Centre on Contamination and Remediation of the Environment since its inception in 2005; is a member of CSIRO’s Energy Strategic Advisory Committee; and Oceans and Atmosphere Strategic Advisory Committee; was Chair of the Great Australian Bight Research Program Management Committee and was a member of the Environmental Protection Authority of Western Australia between 2009-2014. 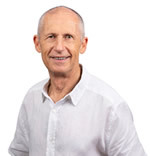 Rod is a member of the Newcastle Institute for Energy and Resources/Global Impact Cluster (Energy, Resources, Food & Water) Advisory Board at the University of Newcastle; a Director of Perth Racing; and is the Chair (elect) for the Cooperative Research Centre on the Blue Economy. Dr David Ritchie has over 35 years’ experience working for organisations responsible for heritage protection and land management, in professional, expert and senior management and executive roles. This work includes extensive experience with statutory boards with roles under land rights, native title, and environment and heritage legislation. For more than twenty years he held Chief Executive roles, leading organisations responsible for land resource planning, remote service delivery, parks and wildlife, natural resource management, environment protection, Indigenous policy, Aboriginal cultural heritage and museums, art galleries and archives. Dr Ritchie’s work has involved extensive field work in remote regions of the NT working closely with Aboriginal communities and developers on cultural heritage surveys for major infrastructure developments – ranging from gas pipelines and the North Australian Railway to mines, aquaculture and newly created National Parks. Dr Ritchie is a graduate of the Australian Institute of Company Directors and a Fellow of the Australian Anthropological Society. He is also a director of Ninti One Limited, on the board of the Northern Territory Land Corporation, Chair of the NT Grants Commission and was recently appointed to provide independent oversight of the NT Government’s implementation of the recommendations of the Scientific Inquiry into Hydraulic Fracturing.